Welcome to my new author website and blog. I’m typing this first blog in my most favoured writing place – the armchair by the window in my front room. I do have an office upstairs, but use it to store books and files, prepare lessons and do admin. I feel disconnected from the world up there, and whilst many writers may prefer the solitude, I find the less academic, informal rooms of my house more comfortable and comforting spaces to write. Perhaps that’s why I also like to write (and read) in bed propped up by pillows against my oak headboard. This is where I often make notes, plan and journal. But one of the beauties of writing is that it can be done any time, any place, anywhere. I like to take my writing, and my readers, out. 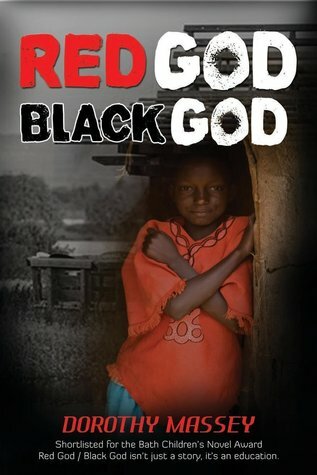 My novel Red God/Black God began life in a notebook, stuffed in a denim bag on a visit to Kenya, but a lot of the research was carried out on a computer at home and the University of Central Lancashire where I was studying for an MA in Writing for Children. The main character of the novel I’m writing at the moment was inspired many years ago by a task in a creative writing group I used to attend in a local Town Hall, whereas the setting owes much to the beautiful Hamsterley Forest, just a short drive away from my home. I love writing, whether at home, or in a noisy café, the top of a lighthouse, the courtyard of stately home or under a tree by a lake (yes, I’ve been there and done them all!). My aim for this blog is to write out and share where, when and how I write. Please write out and share your experiences too. When you’re stuck, grab a book! Giveaway ends May 14, 2016.